Wynwood is a neighborhood in Miami with the Design District to the northeast and the Midtown Miami development to the east. With vibrant studios and galleries, Miami’s Wynwood district is among the most creative in the United States. Wynwood is known for the two major things: its art district and its fashion district. The galleries in this Miami art district open their doors in the evening to host special events, performances and raucous parties. Wynwood Art District is the suburb of this Miami district. Today, this district has become the “center of cool” in Miami, drawing in thousands during Art Basel for its pop up parties and galleries. Tony Goldman revitalized the empty warehouses left behind by a shrinking textile industry in to an art-deco paradise. Genres are also vast, and include everything from traditional art to digital art, photography to filmmaking and cartoons to flash animations. The place provides ample opportunities for networking for artists, musicians, designers, commercial brands, graphic designers and all kinds of creative types. The former Puerto Rican enclave also has of sleek indoor/outdoor lounge called club Cafeina and the trendy Wynwood Kitchen and Bar. The high end boutiques, popular galleries and fine dining restaurants are located on N.W. Second Avenue. The area houses more than seventy galleries and also hosts an Artwalk every second Saturday of every month. Wynwood is also home to Wynwood Walls, which is one of the largest permanent outdoor mural exhibits in the world. The area is also famous for Armory Studios, a state-of-art recording studio and event building. This sub district of Wynwood is bounded by North 30th Street to the north, I-95 to the west and West 2nd Avenue to the east. 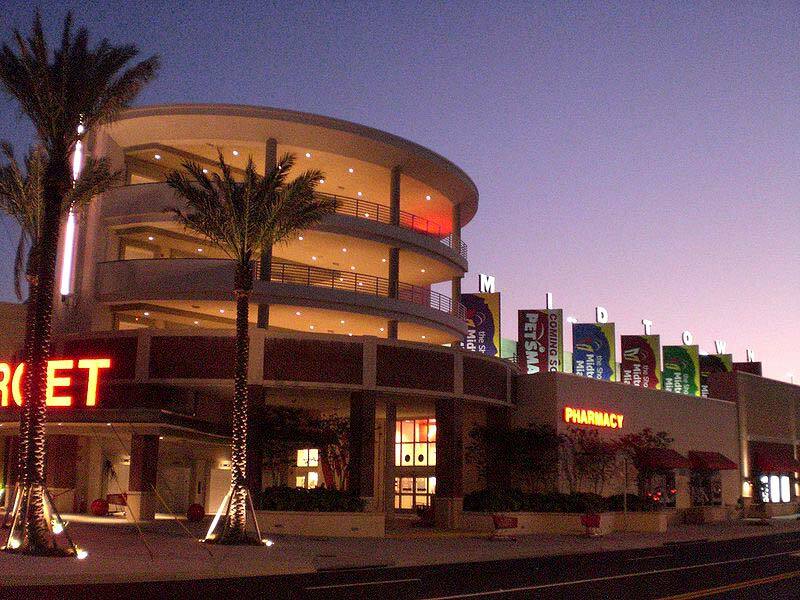 It is a strip along northwest Fifth Avenue where Miami’s major clothing retailers and distributors are located.